At the recent Annual General Meeting the Group elected Keith Morton to full membership. Keith trained at Hornsey College before following a career in advertising. 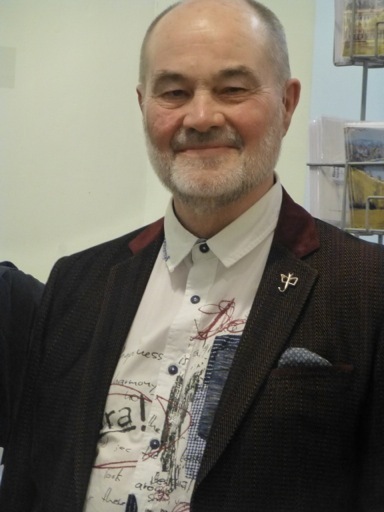 He works in oils, acrylics and watercolour, painting portraits, still life and architectural or marine landscapes. He has shown with the ‘The Discerning Eye’, the ROI and the RP. In other news from the AGM, Chris Burdett joins the committee. And our strong field of candidates this year comprises Chris Daynes, Andy Lee, Robbie Murdoch and Chris Robinson. 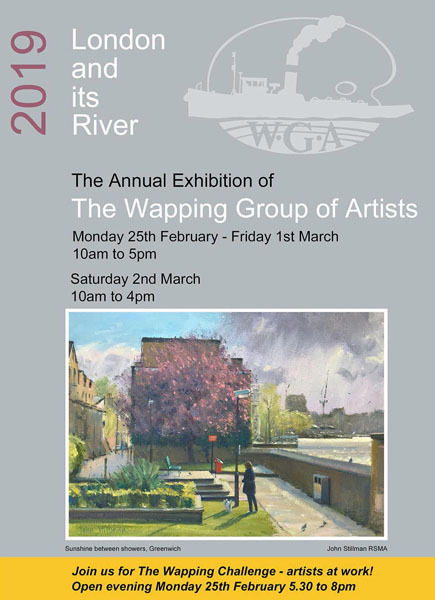 With gallery space unexpectedly available, the major part of the Wapping Group Annual Exhibition continues for another two weeks at the Mall Galleries (relocated to the Threadneedle Space) until Saturday 16th March. 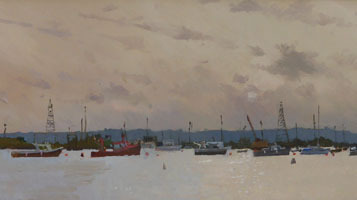 See www.mallgalleries.org.uk for opening times and details. 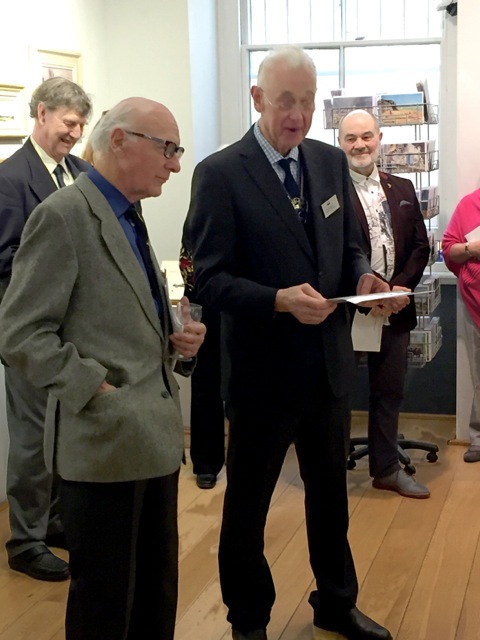 Roger Dellar presided over the opening of the 2019 exhibition last Sunday 24th February, singling Trevor Chamberlain out for special mention with the news that Trevor has just clocked up fifty years as a member of the Group. Roger then introduced our guest, the well-known art critic and author Anthony Lester, who recalled how he began his collecting career as a child, even then having a sharp eye for a good painting. He went on to say that he was very much looking forward to researching and writing the new Wapping Group book, on which work is due to begin this year. Join us for an Open Evening on Monday 25th February between 5.30 and 8pm. We’ve called it the ‘Wapping Challenge’. Though this will take place indoors, it’s actually the same thing we do all the time outdoors: some artists taking on the same subject in their own styles and using different media. And just like when we work outdoors, we’re doing it live, real-time, in front of spectators and passers-by, and it can all go horribly wrong! The brave up-front artists this time will be Paul Banning, working in watercolour, John Shave (oils), and Karl Terry (oils). If you can’t usually get here during the day, this evening opening is also an ideal opportunity to see the rest of the annual exhibition which goes on as usual around the Gallery. Admission free. 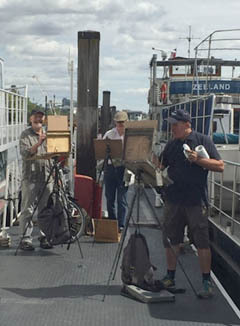 “Members of the Wapping Group have been painting “en plein air” in London and along the banks of the Thames since 1946. 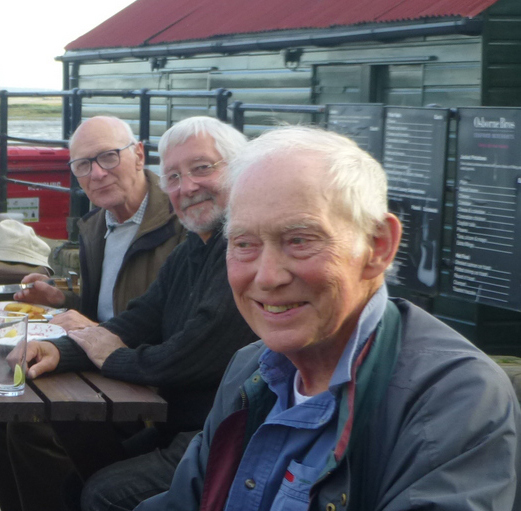 On Thursday 6th December members of the Group attended the funeral of Ronald Maddox, who died on the 14th November. 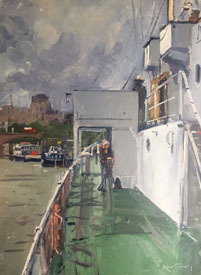 Ronald will be remembered as a long-serving President of the RI and for his many years of committee work for the FBA and the AGBI, but less well known is the fact that he was a member of the Wapping Group for over fifty years, having been elected in 1966. 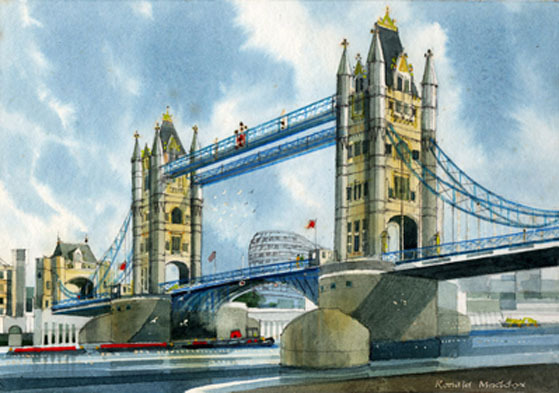 Ronald had a very recognisable style, a delicate, almost miniaturist sense of line and watercolour work, and will be much missed. This is the time of year when we look back over the year’s work and think about what’s going in to next year’s annual exhibition (open to the public 25th February 2019). 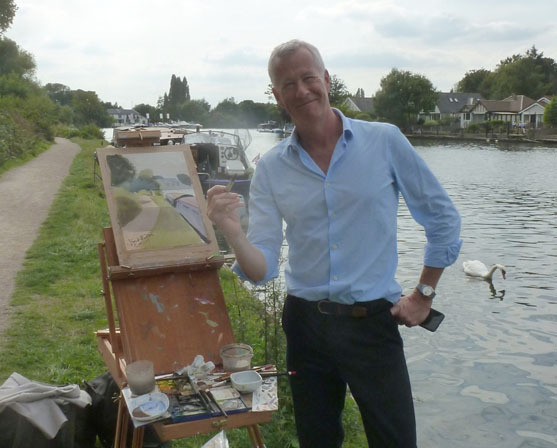 John Wilson of Radio 4’s ‘Front Row’ programme spent Wednesday 5th September painting with us by the riverside at Walton on Thames as part of their Inspire series. 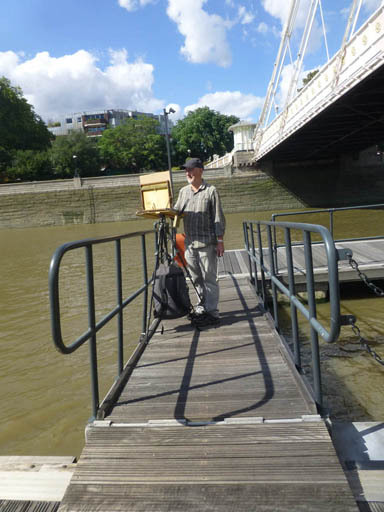 He didn’t do badly at all – the painting on the easel is ‘all his own work’, with quite a lot of input from some of us! The whole process was sound-recorded ready for editing, and the programme goes out at 7.15pm on Thursday 6th September. 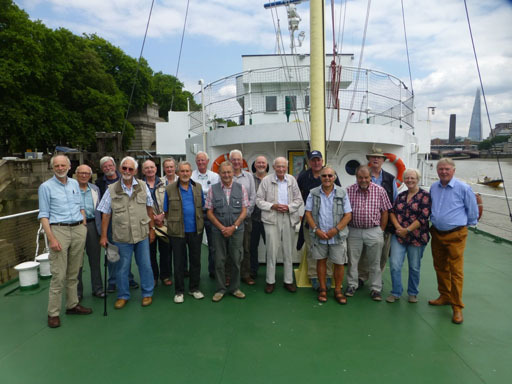 There was a strong turn-out on 18th July when the Wapping Group were the guests of the Worshipful Company of Master Mariners aboard their flagship, HQS Wellington, by kind permission of Glyn Evans. Everyone had a thoroughly enjoyable day – even the weather was kind – and after a glass of wine at lunchtime it proved possible to persuade everyone to line up for this photo on the focs’l. We are very sorry to report the death, at the age of 89, of John Powley on 29 April 2018. 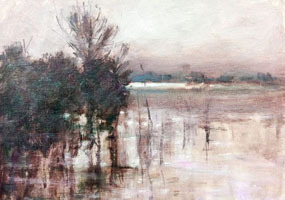 During and after his long career as a surgeon, John pursued a parallel life as a successful painter, teaching courses at Phillips House and Dedham, and having work hung in the RS Summer Exhibition three times. 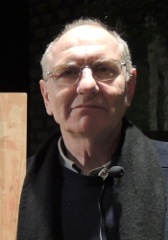 He was elected to the Wapping Group in 2000. John brought a quirky, amusing and highly individual character to the Group, and he will be much missed.